Often referred to as “The St Andrews of America”, Pinehurst is the spiritual home of golf in the USA and like St Andrews, this charming corner of North Carolina simply lives and breathes golf. 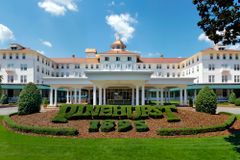 These days the Pinehurst Resort is the physical and spiritual heart of the North Carolina golf scene and with more than 100 years of history and no less than nine amazing golf courses, including of course the famed Pinehurst No. 2 Course, as well as luxurious accommodation options and endless top class amenities, there is little surprise that Pinehurst is considered to be one of the world's finest golf resorts. Lovers of golf should all pay a visit to Pinehurst at some point, if only to play the storied Pinehurst No. 2 Course, which has hosted more championships than any other in the USA, including the Ryder Cup and the US Open on three occasions. The course opened for play in 1907 and from the outset, Donald Ross was clearly impressed with his efforts, referring to No. 2 as “the fairest test of championship golf I have ever designed.” Right up until 1948, Ross remained associated with his beloved course, constantly making improvements until he sadly passed away. Best known for its crowned, undulating greens, which are some of the most difficult and widely celebrated in the world, it is clear that Pinehurst No. 2’s main design features were born out of Scottish influence, with Ross having cut his teeth at Royal Dornoch before he left for America. The greens are small too, and are not for the faint hearted or the easily frustrated. With wicked fall offs around the edges of the putting surfaces, only the best approach shots will hold the greens, meaning solid iron play and a short game to match are the keys to scoring well around Pinehurst. After the course had been taken in a direction not in keeping with the original Ross design, Ben Crenshaw and Bill Coore were commissioned to return the course to its original 1930s glory. Renovation work included increasing the width of fairways, removing turf and areas of lush rough in order to restore the natural sandy waste areas that line the fairways, not to mention numerous bunker modifications. After the renovations had been completed and allowed to bed in, the US Open came to town in 2014, and the “new-old” Pinehurst No. 2 proved to be a formidable test for all but one player. With an opening round of 65, Martin Kaymer put some distance between himself and the rest of the field, his second round of 65 put Kaymer 6 shots clear of Brendon Todd. Whilst many were expecting Kaymer to fall back into the field on Saturday as the course began to bite back but his round of 72 saw his lead cut by just 1 to 5 going into the final round with Erik Compton and Rickie Fowler his nearest competitors. Despite some ups and downs in his 3rd round Kaymer was able to regroup and hold his lead with his birdie on the 54th hole a huge confidence booster ahead of the final round. Kaymer's final round of 69 (-1), which contained 4 birdies, was good enough for a four-round total of 271 (-9) and an 8 shot victory. With the course yielding just 959 birdies all week, it is safe to say that the USGA's set up was a very tricky examination. The toughest of all the holes were the par-3 6th hole which saw just 12 birdies and an average score of over 3.3. Unsurprisingly it was the par-5's which allowed a little respite for the players with the 5th hole providing 17 eagles, 144 birdies and an average of 4.8. It’s argued by many that there is no signature hole on Pinehurst No. 2. When compared to other American classics such as Pebble Beach, you don’t really get the breathtaking aesthetics. No. 2 certainly does prove though, that a golf course can offer much more than the sum of its parts. If we were pressed however, it would be fair to say that the par 4 5th embodies all that is great about Pinehurst No. 2. This is arguably the most testing hole on the course and calls for sound strategy from tee to green, with little margin for error around the green. The hole doglegs to the left and with a waste area on the inside corner and trees flanking down the right of the hole, your tee shot needs to be a solid one. The entire hole cambers to the left which makes the approach particularly difficult. Especially when you consider the fact that anything missing long and left will leave the most difficult of up and downs. Though it only reaches 5,682 yards, Pinehurst No. 3 is a fascinating challenge; indeed, the great Ben Crenshaw is just one of the many admirers of the course, whose holes are crammed with character and charm. No. 3 is the perfect way to get used to the Pinehurst terrain before heading for the main attractions. The No. 4 Course may have retained its name, but Donald Ross' original 1919 creation was essentially rebuilt by Tom Fazio in 2000. Some 140 pot bunkers pepper the new layout, which will be used for the 2008 US Amateur Championship. The best holes are the scenic, water-surrounded 13th and 14th. Pinehurst No. 5 was created in 1961 by Ellis Maples, who stayed true to the fundamental design ethos of Donald Ross - that is, the natural character of the landscape dictated how the course was created. There are countless hazards and changes in elevation, but the 6,848 yard layout will be enjoyed by one and all. In 2005, Tom Fazio's redesign of his original 1979 creation of the No. 6 Course was unveiled, with brand new putting surfaces and more astute bunkering. The rolling hills are beautiful, and the demanding back nine is classic Fazio. Pinehurst No. 7 was opened in 1986, and spans some of the most rugged and beautiful land to be found around the resort. Designed by Rees Jones, and measuring 7,216 yards, No. 7 is a masterpiece that features challenging wetlands and fingered bunkers, demanding creative use of every club in the bag. Commissioned to commemorate the resort's centenary in 1996, No. 8 rounds off Pinehurst's impressive portfolio, and has been extremely well received since opening. Tom Fazio's creation is a tribute to Donald Ross, the heart and soul of Pinehurst. Gullies and swales around the greens are typical, demanding a delicate short game above all else. Make sure your short game is tight at Pinehurst; the crowned greens, with their notorious closely mown run-off areas, demand the most delicate touch. Built in 1901, the Carolina Hotel at Pinehurst evokes all the elegance and grandeur of the South at the turn of the century. The building itself is a National Historic Landmark, and with its stately columns, perfect white façade and stunning entrance, there are few more beautiful bases for a golfing pilgrimage. In addition to the renowned Southern hospitality, the hotel offers its guests a choice of 220 rooms and suites, every one of which reflects the quintessential elegance of this Carolina resort. The finest fittings and amenities are perfectly complemented by the service and attention to detail that really makes for a special experience. With Pinehurst's legendary golfing options on the doorstep, make the Carolina your chosen base to experience some of the world's finest golf. The Spa at Pinehurst is rated as a four star facility by the esteemed Mobil Travel Guide, thanks to its delightful ambience, and the 40 different face and body treatments designed for complete relaxation and rejuvenation. Pinehurst's 24-court tennis centre was the host of the US Clay Court Championships in the 1990s, and you can try lawn bowls or croquet. For aquatic adventure, the pool and beach club are the place to relax, while the private lake offers sailing, kayaking and fishing. Pinehurst is a great family destination - the resort runs activity clubs for children and teens of all ages. The resort has an astonishing 9 different restaurants; for the true fine dining experience, enjoy the 1895 Grille, the only Four Diamond rated eatery in the region. In memory if the 1951 match, the Ryder Cup Lounge serves speciality drinks like the ‘Arnold Palmer'.